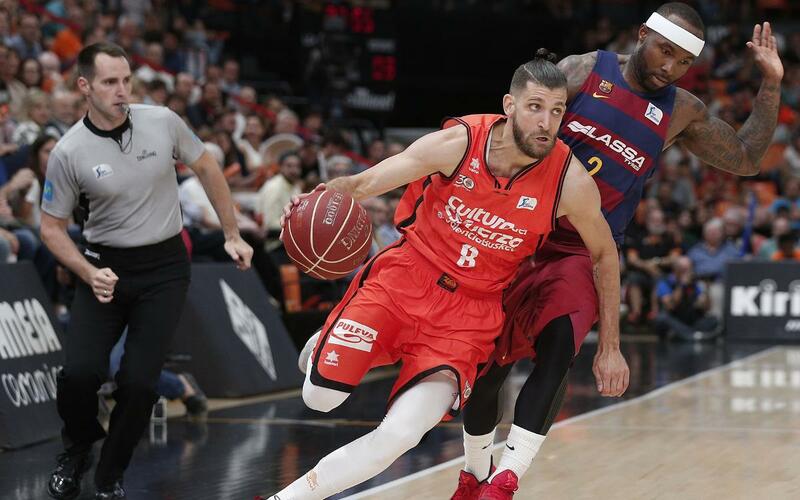 FC Barcelona were unable to defeat Valencia in the deciding game of the Liga ACB playoff quarter-final on Saturday, losing in the last play after an even contest (67-64). Bartzokas’ side knew they had to win at all costs ahead of the game, but it was Valencia who made the better start, racing to a 15-3 lead. A mini-fightback saw Barça reduce the deficit to five by the end of the first and maintained stability in the second. Renfroe and Oleson, with six points each, helped the blaugrana go into the half-time break just 31-26 down. Oleson continued his excellent display into the second, while Rice also contributed with a treble. Eriksson and Tomic then helped reduce the margin to just two points by the end of the third, leaving all to play for in an enthralling last ten minutes (49-47). Rice then rose to the occasion in the fourth quarter, taking his second half total to 16, getting within one point of the hosts (60-59). In the end however, it was not meant to be, as Valencia nipped three points ahead late on to leave Barça out of the playoffs (67-64).